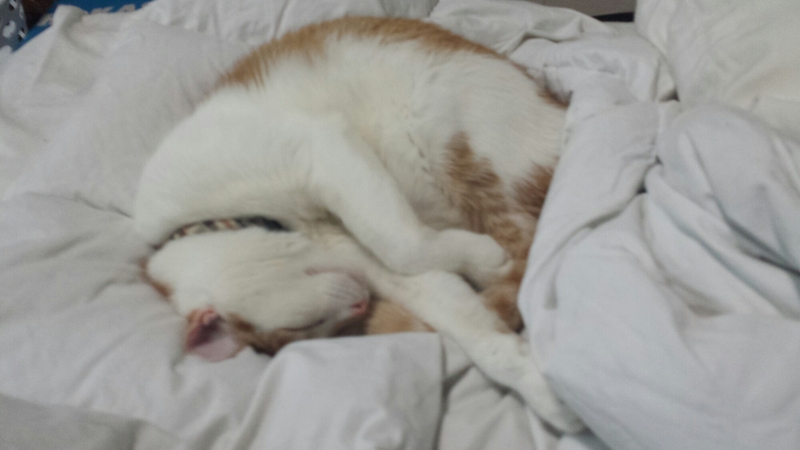 When the temperatures are unbearably hot, curl yourself up for a nap in the AC on top of a white comforter. You may dream that you’re napping on a glacier like a regular polar cat. That’s good advice for Cats, pups and humans! You’re a pretty cool cat! My four are all flopped out on the floor…I bought my mother’s dog a special self-cooling gel mat- she loves it!